One of my favourite mottos is ‘Variety is the spice of life.’ It’s no different when I travel. Sometimes I travel solo, sometimes with friends and on occasion, I take a group tour. For me, the main advantage of group adventure travel is that I can cram a lot into a short time frame which is useful when I’m trying to make the most of limited annual leave. For that reason, group adventure travel companies are great for busy professionals. 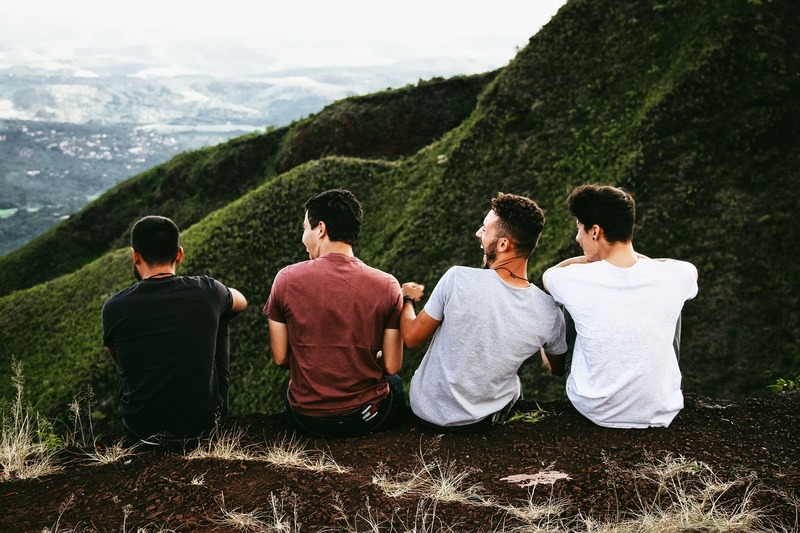 There are other advantages – it’s nice to have a ready-made set of travel friends and a knowledgeable guide to make sure I get the most out of your trip. If you want to read more about the pros and cons of group vs solo travel check out my article here. I have travelled with various small group tours in the past but most often with G Adventures and Intrepid. To be quite honest, I would travel with either company again. I’ve had brilliant experiences with both and I’m not convinced either is better. However, there are differences and you may choose one over the other for a number of reasons. There may be one which suits YOUR needs better than the other. 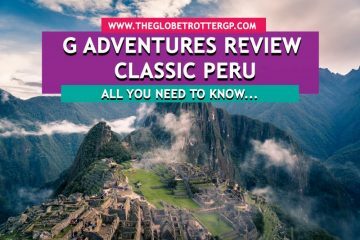 Today in this G Adventures vs Intrepid review, I will discuss with you what those reasons are and hopefully help you decide which tour company to travel with for your next trip. 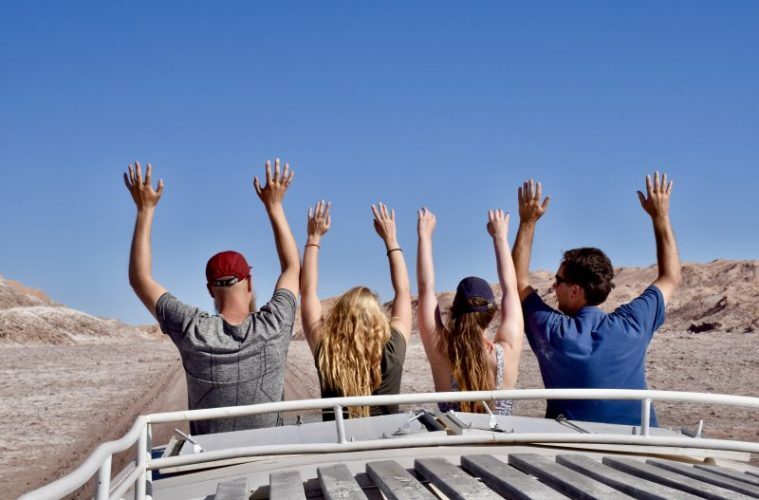 If you want to compare these small group adventures to other styles of group travel such as overland tours, then read this article; the best group tour companies for single travellers. 1 What are the Advantages of going with either G adventures or Intrepid? 3 Who should Travel with G Adventures or Intrepid? 5 So let’s look at G Adventures vs Intrepid? 6 So who wins? G Adventures vs Intrepid? 7 Here are some tours I can personally recommend! What are the Advantages of going with either G adventures or Intrepid? Hey! Pin me for later?! Both are internationally renowned companies, G Adventures operating from Canada and Intrepid from Australia. Safety is taken seriously by both companies. Both are environmentally conscious, ethical and sustainable – more on that later. They contribute to local communities – again we’ll discuss that in more detail in just a moment. Both travel with small-ish group sizes. They average about 10 people and have a maximum of 16. Having travelled once with 30 people on a Topdeck trip, I can attest to the importance of small group sizes. I travelled around Europe on a topdeck trip many years ago. Whilst I had fun, I did often feel like we were herded cattle with over 30 of us on the coach! Both will offer a mixture of included and optional activities so you will have plenty of free time should you want it. Both offer different levels of comfort so you can choose a level suited to your travel style. Who should Travel with G Adventures or Intrepid? You are seeking an off the beaten track adventure – not just staying in the big cities seeing the obvious landmarks. You like the company of others. You can be fairly flexible and are willing to compromise. You may not always get your choice of restaurant to eat in but you do always have the option of going alone if the group are doing something you don’t want to! You don’t get easily irritated by the habits of others. You are looking to pack a lot into a short period of time. You feel too apprehensive to travel alone. You don’t have time to plan your own route and you want the convenience of a local guide who can tell you what are the best places to visit or the best places to eat. Want the flexibility to stay somewhere longer when it takes your fancy! You are on a very tight budget. Whilst these tours are fairly priced, it will always be cheaper to travel alone. You are paying for the convenience, the guidance and the luxury of having ready-made travel friends without the need to go looking for them! So let’s look at G Adventures vs Intrepid? 18-30 Something travel – if you want to hang out with people your own age. Active travel – more of a focus on activities such as kayaking, cycling and hiking. Best for those with a good level of fitness who want to keep active on their holidays. Classic travel – a mixture of included and optional activities. Private group travel – the trip planning and expertise without the strangers. Rail travel – where the predominant mode of travel is train such as some of the amazing rail trips in India or how about the Trans Siberian Express? 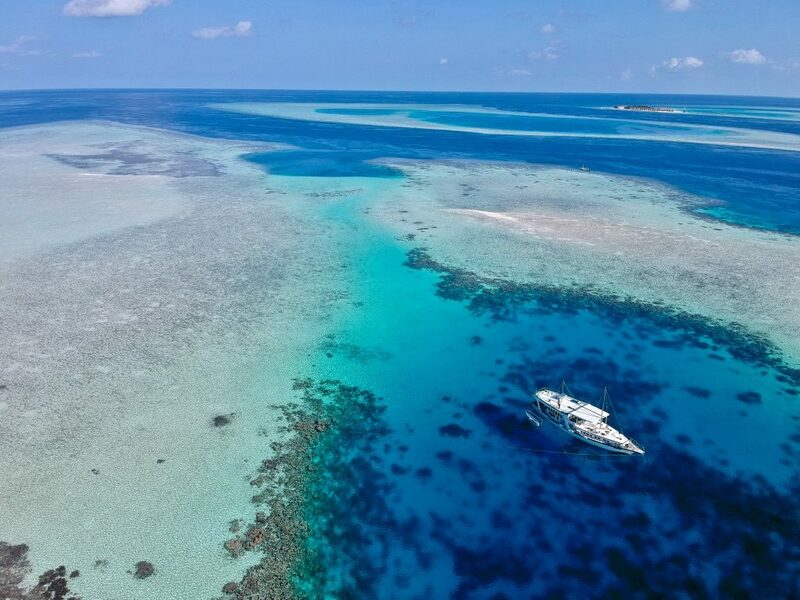 Marine travel – sailing trips where you can expect lots of snorkel stops as well as stops at beaches and towns to explore on land. Local Living – there is less travelling involved with these trips. You may even stay predominantly at one location and take day trips from there. Some trips move between accommodations but there is less time on the road than on classic trips which cover more ground. Great for getting to know the area well and from a more local point of view. Family travel – trips for families. The children will have friends to explore with and will benefit from learning about other cultures, religions and traditions at a young age. Jane Goodall Collection trips – These trips are focussed on wildlife and are endorsed by international primatologist Dr Jane Goodall so you know they are ethical and sustainable with the wildlife’s best interests at heart. National Geographic trips – these are even more hands-on with insider access and tend to include upgraded accommodation and have more included extras. G Adventures take responsible travel really seriously and make the social and environmental welfare of the countries they visit an absolute priority. They have a not-for-profit partner Planeterra which helps to empower local people to develop their communities and run over 50 enterprises worldwide. They target women, at-risk youths in rural and indigenous communities. I’ve visited many of these and I’ve always felt they were making a significant positive impact on the local communities. G-Local – G adventures commitment to working with small locally owned businesses rather than multinational companies who let’s face it, are rolling in it already and do not need your money! G Adventures have also made a commitment to animal welfare. They have adopted guidelines in association with the British Travel Agents in Conjunction with the Born Free Foundation. Guaranteed departures – a great plus point if you choose G adventures. The trip is guaranteed so you will be going exploring. No excuses. They have more departure dates – some trips depart every single day! The price, in my experience, then to be slightly less for G adventures than Intrepid. If you cancel, there is a lifetime guarantee. This means the deposit you paid in will be kept back so in the future you can use it towards another trip of your choosing! Good to know it’s not money down the pan! There is no loyalty programme as yet. Foodie breaks – where the emphasis is on street food, local delicacies and cooking workshops. 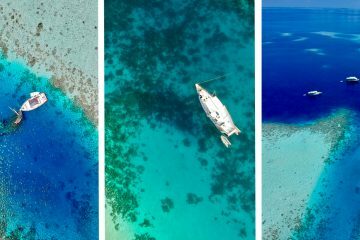 Sailing trips – small sailboats with a mixture of snorkelling and island visits. Polar expeditions – take a walk on the wild side and go searching for polar bears and stunning scenery! Wildlife trips – where the focus is on safari or wildlife watching. Festivals – where the trip centres around a big festival such as Rio Carnival. Overland trips – travel by truck and camp overnight. These trips tend to be quite hands on – everyone works as a team. Short breaks – 2-5 days. This would be perfect to start your trip until you get your confidence and are happy to travel alone. Urban adventures – the best way to see a city if you’re short of time. These 1-day trips ensure you see as much as possible in a short timeframe. Family trips – like G Adventures, Intrepid also offers family trips where your children can make friends AND experience a new culture! Intrepid has invested $5 million into grassroots projects worldwide. Grassroots essentially means projects which allow the community to help themselves – similar to G Adventures Planaterra scheme. Intrepid has been a carbon neutral business since 2010 – they have 1400 carbon offset trips! Intrepid stand by their principles. They were the 1st tour company to ban elephant rides on their tours and have removed orphanage visits as a means to help contribute to child protection. Intrepid also has a charity called The Intrepid Foundation. Intrepid covers ALL of the admin costs so your money goes directly to the cause. Also, they match every donation you make and fund projects worldwide. There are generally more options and variety of tours with Intrepid. They have a great loyalty programme whereby if you take 9 trips with them, you will get $1800 towards your 10th trip! After 30 trips, you will get a lifetime 10% discount. They tend to have slightly smaller group sizes. In my experience, Intrepid seems to attract a more mixed age group which is good for those who are >30. I’ve been on the occasional G Adventures trip where I was 10 years older than everyone there. They are slightly less flexible on departure dates but most trips will depart once a week or once a fortnight, some more frequent. They are slightly more expensive though this is often marginal. So who wins? 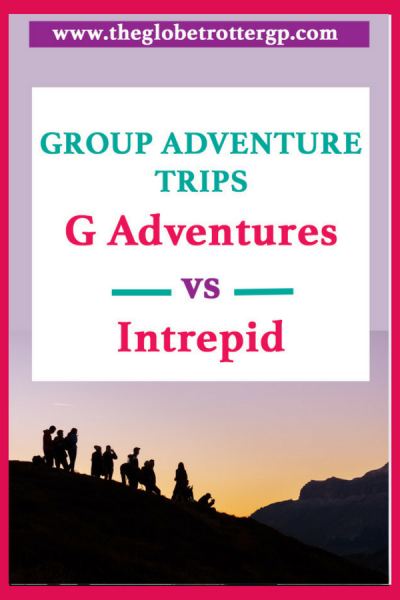 G Adventures vs Intrepid? 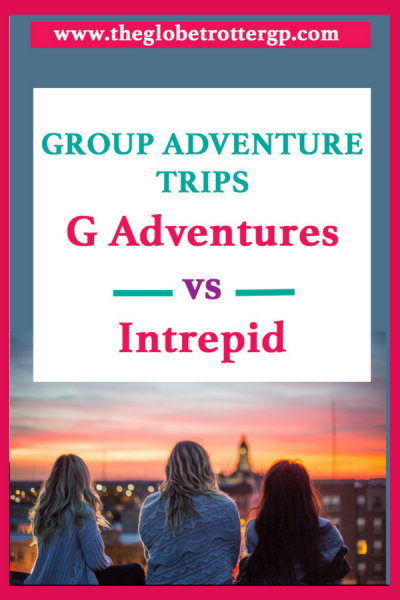 In truth, I’m not sure there is a clear winner in the G Adventures vs Intrepid debate. Both have their advantages and disadvantages. Where G Adventures have a better cancellation policy, Intrepid has a great loyalty programme. G Adventures offers more departure dates but Intrepid offers more choice. Both are ethical and sustainable companies delivering high-quality tours and I’m sure you won’t be disappointed whichever you choose! Here are some tours I can personally recommend! I spent a week sailing around the Maldives with G Adventures. We spent our days snorkelling reefs, chilling on sandbars and exploring deserted islands. We danced with the locals at a drumming evening and we had dinner under the stars on a beach lit up with candles. It was bliss. Sailing around Thailand’s islands is a super relaxed way to get about the best snorkel spots, beaches and islands. There are loads of great stops such as Railay Beach and Ko Phi Phi. Read my full review here. Combines culture with wildlife. Stay overnight at a Masai village and visit the iconic Masai Mara as well as plenty of other great wildlife spots along the way! I recommend taking a walking safari at Lake Naivasha. The best way to see The Galapagos and I cannot recommend it enough. From the food to the rooms to the guides – it was all brilliant. But the main highlight is the wildlife – from spotting orcas to swimming with curious sea lions! Read about it here in this ➡️ Galapagos G Adventure review. Check up to date prices for this Galapagos Cruise by clicking here. Combining the main highlights Cusco, Lake Titicaca and Machu Picchu. Choose between The Inca Trail or The Lares trek – I personally recommend the Lares trek. Click here ➡️ to read more about The Lares Trek. Visits all the main highlights in Thailand, Laos, Cambodia and Vietnam from Angkor Wat to Halong Bay. My favourite though was Luang Prabang in Laos. So much culture and scenery and it’s incredibly peaceful! Kuang Si Waterfalls are the best I have ever seen. Read about my Laos experience here. A great combination of rural and city locations. The visit to Koh Samui actually takes you to a really peaceful deserted beach – an oasis of calm on the renowned party island so don’t let the name put you off! This was one of my highlights! So what are you waiting for? Get booking your G Adventures or Intrepid Adventure! You won’t regret it! Click these links to see if any of their trips inspire YOUR next adventure! Have you been on a trip before? What did you think? Or do you have any questions I can answer? If so please comment below. As always, I really appreciate if you can share this post and help me get the word out about these fabulous adventure companies! 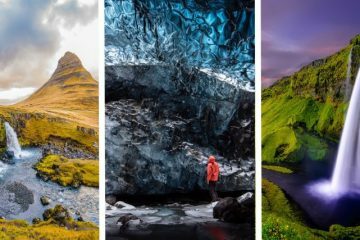 Next ArticleWhich is the Best Camera for Travel Photography & Videography in 2018? Great post! I’ve travelled a lot with G Adventures and have always had the best time on the trips. I travel on my own a lot and always want to make the most of my annual leave. Organised trips like these really do take the hassle out of the organisation and when you travel alone you get a bunch of ready-made friends. On the last G trip I did, there was a girl who recommended I check out Intrepid for my next trip to share the love, and I think I will! I’m glad to hear you’ve had such positive experiences! The intrepid trips I’ve taken were also great! Check out the links above! I think the age range of both tours is very dependent on the location. Cheaper destinations attract the youngest audience. In South America the average age was about 30 and the oldest were in their 60s. But in se Asia, the average age was about 20 and I was the oldest in my late 20s! Wow, this blog post is so in-depth and informative. I’ve never done a group adventure tour but I think I would be inclined to go with G Adventures myself. 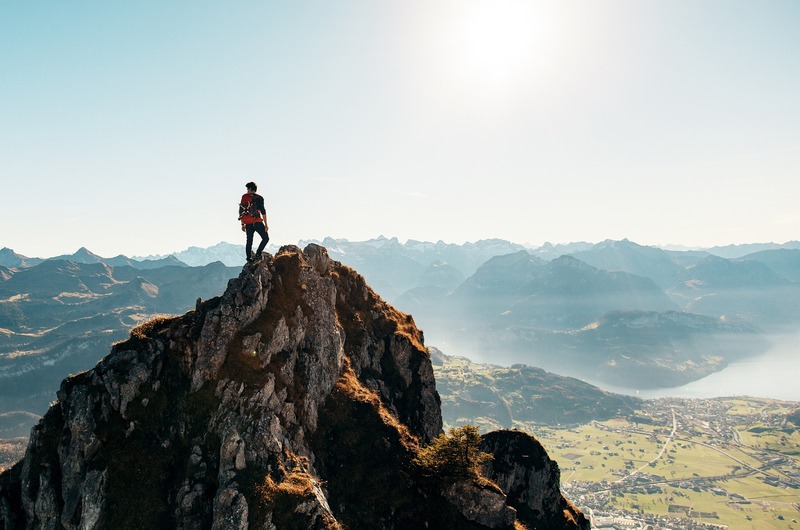 I’ve heard alot about G adventures (and particularly want to do the Inca Trail) but Intrepid is a company I’d never really heard of, so this was such an insightful post! Particularly great that you have genuine experiences to offer recommendations on for both! These look interesting. To be honest I have never heard of either. I’m assuming they are US based travel agencies? 🙂 Would be curious to know how this concept would translate in a European market. In any case, I learned a lot from this post already! Actually G Adventures originates from canada and Intrepid from Australia but they are worldwide companies now. Most people I’ve met on these tours are from Australia, the UK, Europe and some from the US and canada. I’d say I mostly meet other british travellers on these tours. I’d heard of both of these companies, so it’s great to get an insider perspective on them! Definitely given me food for thought! That’s what I call a real guide to choose tour companies! I’ve never used any of them, but I loved your review! Definitely going to check them out! That’s interesting, I have never used any of them but that would be the perfect starting point for anyone. Will check them out, thanks for sharing! I’ve always wondered about these trips. We’ve recently hit the over 30 mark, so I’m still a bit hesitant but we’re also typically independent travelers. However, I am always interested in trying a new way to travel. Well to put it in contect, I was on a borneo trip with G adventures last week. There were 2 couples over 50 years. 3 of use between 30-45 a couple in their mid 20’s and 2 19 years olds on a gap year. We were a diverse and brilliant group, I had so much fun! I haven’t tried G Adventures yet, but know someone who did a tour in India with them recently and loved it. I went with Intrepid to Egypt last year and it was honestly a near-perfect experience that will be hard to top the next time I get out there. Well-planned, great group of people, crazy-informative guide… No complaints other than the trip was too short 😉 Thanks for the rundown on both companies. I knew about the Intrepid loyalty program, but I didn’t know about G’s cancellation policy. Good to know! Although there are some differences, I would travel again with either! These are definitely the 2 best companies I’ve travelled with! Hey! I’m thinking of doing the Bangkok to Singapore on a Shoestring and I was hoping to learn more about your experience. Im a 23 yr old woman traveling solo for the first time! Intrepid has the same trip for 19-29 year old so im not sure which to go with? Any advice at all would be great. It was with g adventures and was d’s brilliant tour leader nice group size, young adventurous group. The average age was mid 20s so would be perfect for you. HI mate, I’m a 31 year old gp looking to do the indochina in depth with g travel which I believe is an extension of yours but including Myanmar. 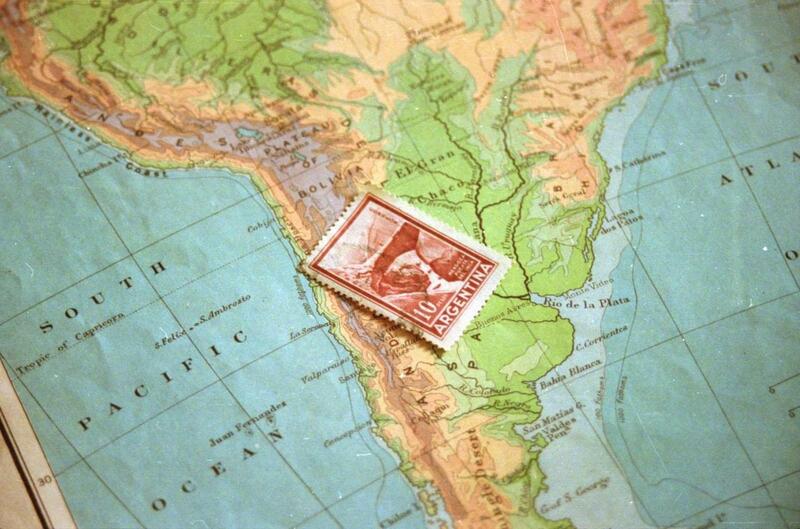 Was there any must sees on your trip other than the Laos bit u commented on? Particularly with the optional activities. Did u do the elephant sanctuary in chiang mai? I am trying to compare indochina between intrepid and g travel. Have u heard any comparisons for the 2 for indochina? Wow, you’ll be due your free trip soon with their loyalty programme! Sounds like you’ve had some epic adventures!